Did you know that you can join Stampin’ Up! JUST to get a discount on your favorite products? It’s true! No “selling” necessary…unless of course you want to earn some extra $$. Joining Stampin’ Up! is a great choice, whether you are interested in buying or selling…or both! The new Stampin’ Up! Demonstrator Starter kit is completely customizable, you pick what you want! 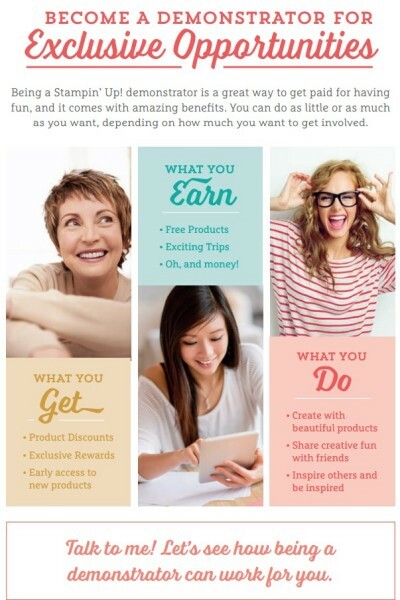 Now, when you join Stampin’ Up! 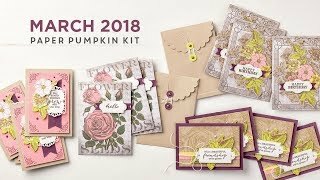 as a new demonstrator, the choice is yours to put together a kit with any of our current high-quality products- you can choose up to $125 worth of any Stampin’ Up! products for only $99! 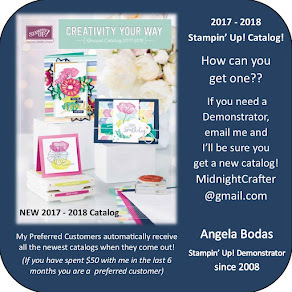 You’ll also receive a business supplies pack (valued at $65 and includes a case of NEW 2012-13 Stampin’ Up Catalogs) to create a kit with a total value of $190 that still ships for FREE! Demo Starter Kit – what’s in it? You CAN join just for this great deal and the discount, no “parties” necessary. What’s in your kit? Not sure what to get with your demo kit?